BF2.3 15" X X Int. BF2.3 20" X X Int. With 15% more horsepower over its predecessor, this ultra light weight powerhouse produces surprising speed and maneuverability. The BF2.3 is incredibly light and easy to transport. 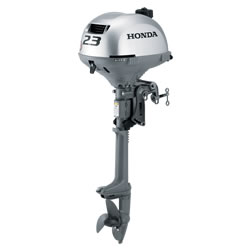 Weighing less than 30 pounds, it's the ideal engine for dinghys, car-toppers and other types of small boats. 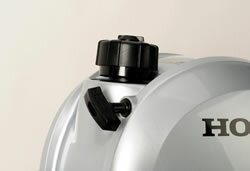 A twist grip throttle allows for precise throttle control. 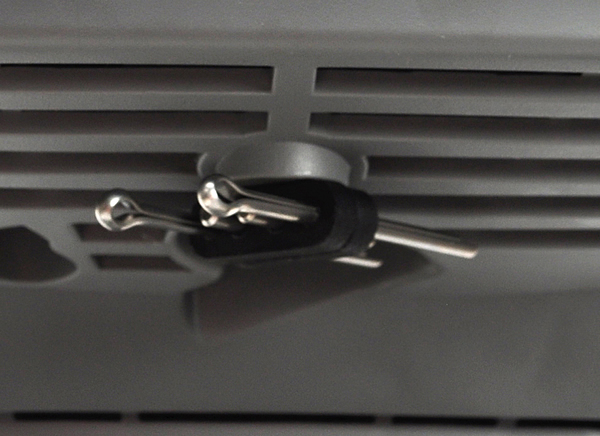 The throttle tensioner minimizes driver fatigue. 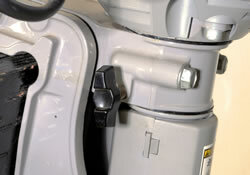 The air-cooled block eliminates concern over clogged water pumps and debris being sucked into the powerhead, as well as reducing maintenance. 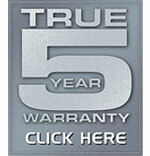 Maintenance-free, high-energy output for quick and easy starts. 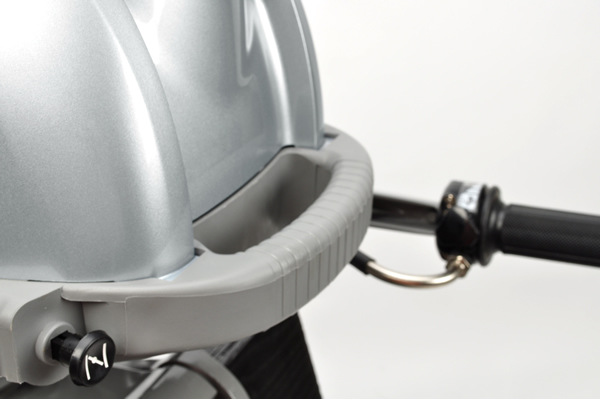 A front mounted carrying handle provides superior portability and ease of installation. 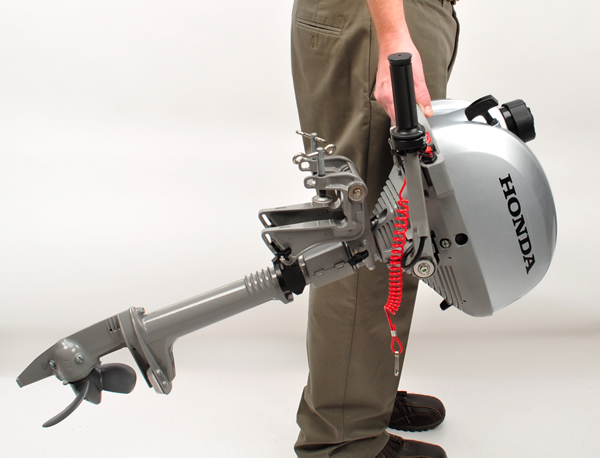 Provides excellent maneuverability in tight areas as well as full thrust in reverse (at 180°). 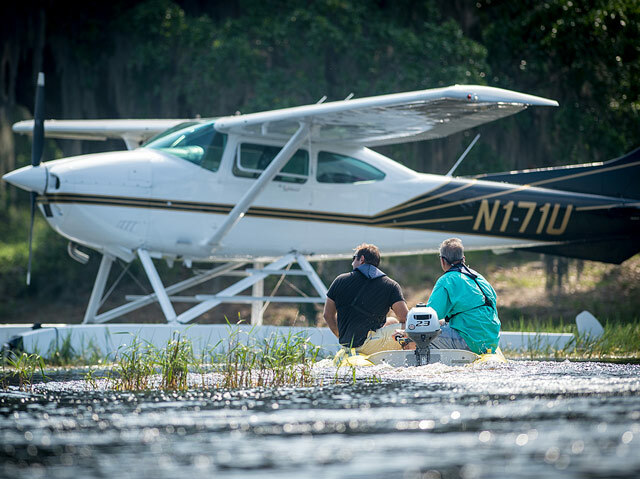 The centrifugal clutch maintains a smooth idle and when advanced, automatically engages the prop above idle speed. It's like having a neutral position. 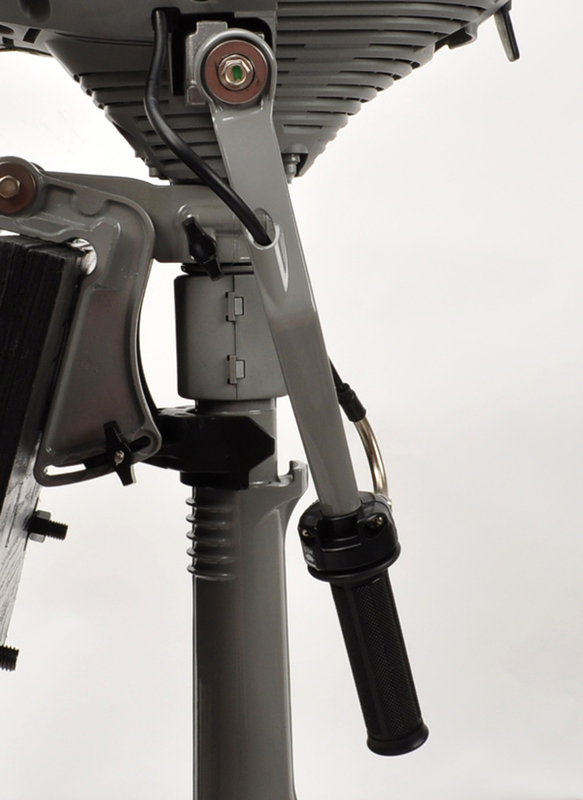 The BF2.3's tiller folds up or down for easy stowing. 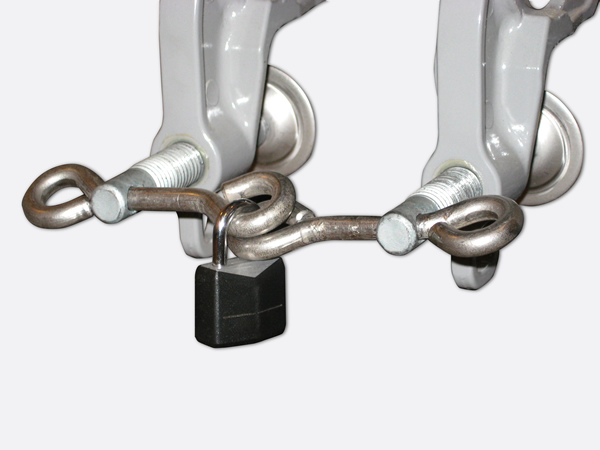 A patented, "Double Sealed" multi-layered paint process, sacrificial anodes, stainless steel technology, and waterproof connectors enhance corrosion protection. 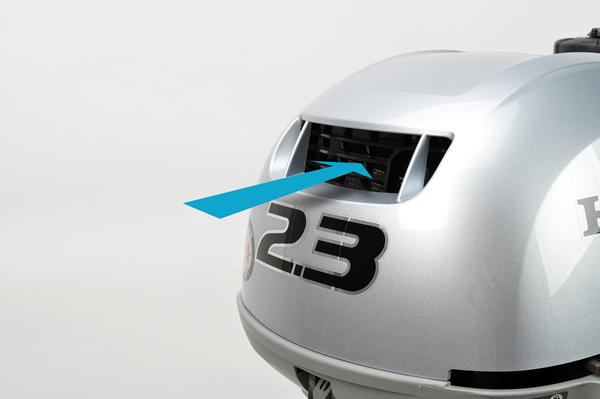 With 12% more capacity over its predecessor, the BF2.3 now runs up to 60 minutes at full throttle on a tank of fuel. 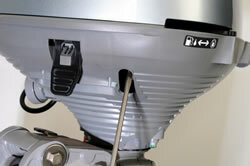 The internal tank facilitates easy removal and portability as a single unit. Convenient oil fill and drain. 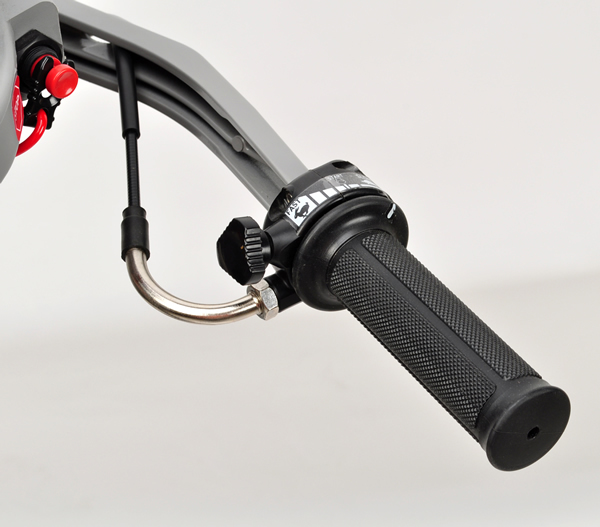 Allows you to adjust steering tension for ease in maneuverability. Four manual settings ensure proper trim angle for maximum performance. Allows you to run in shallow water and greatly reduces the risk of engine damage. 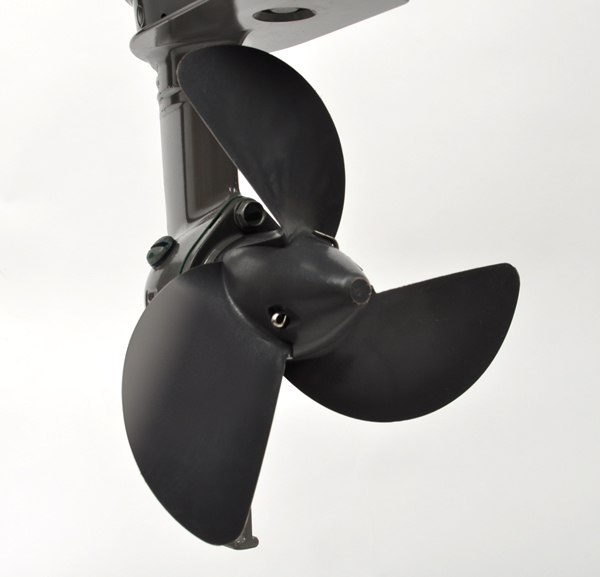 A shock resistant plastic propeller comes standard. Allows quick and easy draining of the carburetor's float bowl for extended storage periods. 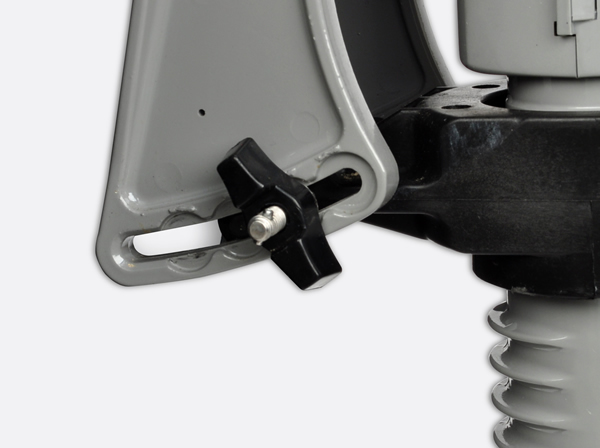 Provides extra security when mounted to the transom. The self-contained keeper stores two extra sets of cotter and sheer pins close at hand, so you'll be prepared if and when you need them. Available in 15" or 20" configurations to meet your specific application.